Experience next generation cleansing with the FOREO LUNA fofo Smart Facial Cleansing Brush, the world's first 2-in-1 smart cleansing device that analyses skin for a bespoke cleansing routine, every time. The FOREO LUNA fofo is a fully waterproof, 2-in-1 smart facial cleansing device that pairs with a specially designed app to deliver you a tailored skincare routine that's personal to you and your unique skin profile. It is made from bacteria-resistant silicone and has delicate silicone bristles which deliver high frequency T-Sonic pulsations to gently dislodge dirt, makeup and grime. A two-zone cleansing surface makes it perfect for all skin types; use the finer touch-points for larger areas like the cheeks and forehead, and the thicker touch points for oil-prone areas like the T-zone and chin. The device is embedded with two 24K gold-plated, hypoallergenic skin sensors which intelligently analyse hydration levels and real skin age. After each skin analysis, a sophisticated algorithm processes the feedback and creates a tailor-made cleansing routine in the FOREO app, which then syncs with your LUNA fofo device to deliver a bespoke cleanse. Make sure to analyse your skin regularly for the most optimised cleansing routine. Skin can change due to a number of internal and external factors, including climate, diet and water intake. 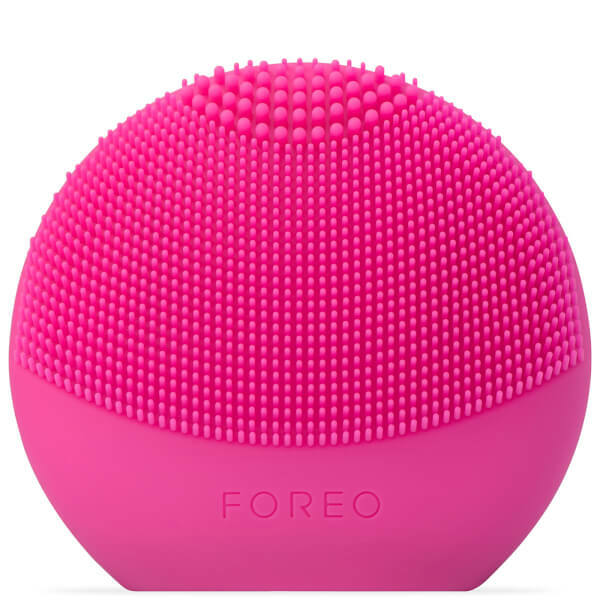 Download the FOREO For You app, available on the App Store (iOS) and Google play (Android). Follow the onscreen prompts to set up your profile. 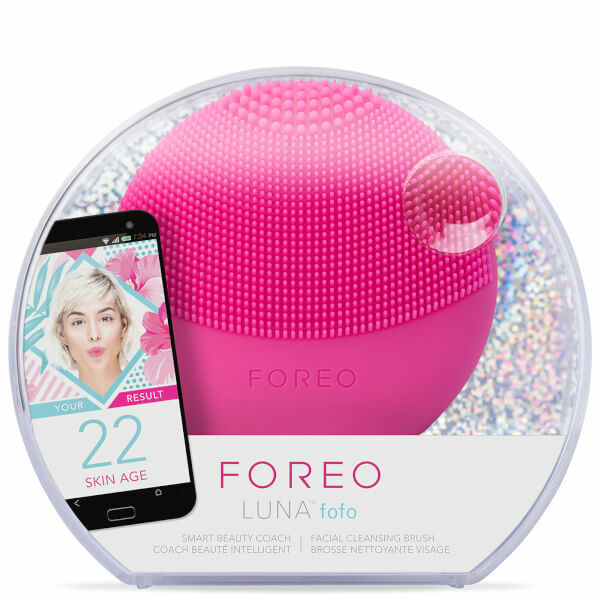 Sync your LUNA fofo to the FOREO For You app: log on to the App, then click connect. Press and hold the “ON” button for five seconds until the camera symbol on your LUNA fofo starts blinking. Before analysing skin, make sure your face is clean and dry. When ready, press ANALYZE. Onscreen instructions will direct you to apply LUNA fofo’s dual sensors to four facial areas, following the sequence shown on screen. Once the sensor readings are processed, the results of your skin analysis appear on your app screen. Your personalised cleansing routine is now saved to your LUNA fofo, so put your phone to one side. Apply your favourite cleanser, dampen your LUNA fofo, and start it up by pressing the "ON" button for 1 second. Gently glide LUNA fofo’s cleansing surface over your face in small, circular motions. The device will pause briefly when it’s time to move to another facial area. After cleansing, rinse and dry your face, and apply skincare products if desired. LUNA fofo adjusts with you and for you, so analyse skin regularly to ensure optimal cleansing, every single time.